Ahead of tomorrow's special meeting of the United Nations Security Council, UN Watch Executive Director Hillel Neuer visited the Israel-Lebanon border to examine the Hezbollah terror tunnels that have just been discovered. The cross-border tunnels, a massive, multi-million dollar building project financed and masterminded by the Islamic Republic of Iran, were designed for a Hezbollah surprise attack against Israel in which gunmen would suddenly emerge into nearby Israeli towns, in order to kidnap and murder civilians. The tunnels dug under and into Israel by Iran's proxy terrorist organization amount to a flagrant violation of UN Security Council Resolution 1701—which prohibits any military activity or even presence of Hezbollah south of the Litani River—and constitute a threat to the peace under the UN Charter. Moreover, at lease one tunnel was dug from a civilian home in Lebanon — a war crime under international humanitarian law because Hezbollah sought to use Lebanese civilians as human shields to protect their military infrastructure. A number of years ago, a quote from Mark Twain went viral - as we would say. Not sure if that term was used back then, but it did create waves. Skeptics would question the sincerity of his statement. It appears to be only grudgingly stated, but that might make it even more powerful. His contributions to the world’s list of great names in literature, science, art, music, finance, medicine and abstruse learning are also very out of proportion to the weakness of his numbers. He has made a marvelous fight in this world in all ages; and has done it with his hands tied behind him. He could be vain of himself and be excused for it. The Egyptians, the Babylonians and the Persians rose, filled the planet with sound and splendor, then faded to dream-stuff and passed away; the Greeks and Romans followed and made a vast noise, and they were gone; other people have sprung up and held their torch high for a time but it burned out, and they sit in twilight now, and have vanished. The Jew saw them all, survived them all, and is now what he always was, exhibiting no decadence, no infirmities, of age, no weakening of his parts, no slowing of his energies, no dulling of his alert but aggressive mind. All things are mortal but the Jews; all other forces pass, but he remains. What is the secret of his immortality?" When emergencies occur, rapid medical treatment increases chances of survival exponentially. Using specially equipped motorcycle ambulances, United Hatzalah’s network in Israel, of more than 5,000 volunteer medics help save thousands of lives each year across Israel by providing medical treatment in an average response time of 3 minutes or less. The humanitarian services are free, universal and available 24 hours a day, seven days a week. On a recent day at 11:15PM Khaled Rishek, a Muslim volunteer EMT with United Hatzalah who lives in Jerusalem, was at home preparing to go to sleep when he received an urgent alert from United Hatzalah’s Dispatch and Command Center. The emergency took place when a 30-year-old woman was in a major car accident on Derech Hevron road. The woman had been speeding down the street when she lost control of the vehicle causing it to slam into a guardrail and flip upside down. Khaled immediately jumped out of bed, grabbed his jacket and helmet, and raced to the scene on his ambucycle. Khaled, together with other United Hatzalah responders (including a doctor in a United Hatzalah ambulance) assisted in extricating the woman from her overturned vehicle, staunched the bleeding from her facial wounds, applied trauma bandages, affixed a neck brace, performed a field neurological assessment, and helped the woman recover from the emotional shock of the incident. Amazingly, despite the severity of the crash the lucky woman escaped with relatively few injuries. After the initial treatment she was rushed to the nearest trauma center in a United Hatzalah ambulance. Thanks to Israel the body no longer has to reject a donor organ! Israel has given so many people hope for the future. 25% of kidney recipients and 40% of heart recipients have some type of acute rejection within the first year after a transplant. That is not a small percentage. But with Israel’s new breakthrough, these patients no longer have to experience that! Can you believe that a country that has existed for under 100 years has had such a medical breakthrough? It is time the world starts showing appreciation for Israel. The tiny, tiny Jewish state surrounded by enemies has become a place for everyone to turn to. They have helped Jews and non-Jews alike with their inventions, innovations, breakthroughs, and volunteer work. Despite needing to put so much time and energy into security, fighting against the media bias, and fighting the word’s bias, Israel still manages to create things for the world that save lives, change lives, and overall improve lives. So, it is time to stop benefiting from Israel when you also fight against them. It is time to just say thank you. discusses with host Tracy Alexander. Guest post from Gloria of "Grandma's Army"
Last week I mentioned my son living in Ashkelon and that two of his sons – two-thirds of triplets – have joined the IDF. The family has also two older sons who finished their army service some time ago. One of the triplets has recently joined the same fighter unit as his cousin (the one who just got engaged and finished his IDF service last month). His brother joined the IDF last week in the “Combat Engineering Corps., an unknown aspect of the IDF in our family’s tradition. [The third triplet has yet to change his civilian clothes into an army uniform. In Israel, after completing high school, boys and girls are allowed to study for some time in special religious frameworks before beginning their army service]. In the 1948 War of Independence, the CEC blasted bridges over the Jordan River and the streams of the southern coastal plain in order to stop the advance of the Arab armoured forces into the Israeli civilian rear. While helping to breach the “Burma Road” into besieged Jerusalem there were many casualties. To commemorate the fallen soldiers, a “Road of Heroism” memorial was erected near the Hulda forest at the Burman Road. In the 1956 Sinai War, the CEC destroyed the Egyptian military infrastructure in the Sinai Peninsula and was awarded with a battalion recommendation of honour. In the 1967 Six-day War, the CEC stormed Jordanian fortifications along the walls of the Old City of Jerusalem. After Israel annexed the Old City, the CEC removed landmines planted in the city by the Jordanians. In the 1973 Yom Kippur War, the combat engineering battalions bridged the Suez Canal while carrying tanks and paratroopers across the canal with amphibious tank-carriers. This effort enabled the armored divisions to cross the canal and surround the 3rd Egyptian Army, forcing it to surrender. The bridging of the canal is regarded by many as the turning point of the war on the southern front. On the northern front, a CEC Caterpillar D9 bulldozer was the first ever motorized vehicle to reach the summit of the Hermon – Israel’s highest mountain. The 1982 First Lebanon War, dubbed Operation Peace for Galilee, began when the IDF invaded southern Lebanon, after repeated attacks and counter-attacks between the PLO operating in southern Lebanon and the IDF, that had caused civilian casualties on both sides of the border. The CEC worked intensively to open routes for Israeli forces, as well as building fortifications and outposts. By expelling the PLO, removing Syrian influence over Lebanon, and installing a pro-Israeli Christian government led by Bachir Gemayel, Israel hoped to sign a treaty which the Prime Minister Menachem Begin promised would give Israel "forty years of peace". Unfortunately, Israel’s desire for peace was again thwarted. Following the assassination of Gemayel in September 1982, Israel's position in Beirut became untenable and the signing of a peace treaty became increasingly unlikely. The Lebanese civil war would continue until 1990, at which point Syria had established complete dominion over Lebanon. In the 1991 Gulf War, the CEC were on a "code red" alert for disarming Iraqi scud missiles, armed with non-conventional warheads. During the al-Aqsa Intifada, which broke out in September 2000, the CEC were employed to disarm many Palestinian explosive charges and booby traps. They also dynamited Palestinian houses inhabited by terrorists, bomb labs. and smuggling tunnels. The CEC took a significant part in the Second Lebanon War that erupted in 2006 after Hizbullah attacked an IDF patrol, abducted two soldiers and killed another 8 with anti-tank missiles that hit the rescuers. During the Gaza War (2008–2009) codenamed "Operation Cast Lead", the CEC were the first to enter the Gaza Strip to clear IED's, booby traps and open safe routes to armour and infantry. During Operation Protective Edge (July–August 2014), the CEC played a major role in destroying the Hamas cross-border underground infiltration tunnels. In total, about 32 tunnels were destroyed! In addition, combat engineers participated in the battles, neutralized Hamas-planted improvised explosive devices, cleared booby-traps, opened routes for armour and infantry, and destroyed terrorist infrastructure. The CEC has an excellent record of professional achievement and decoration. 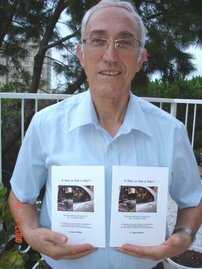 Their first chief engineer, Brigadier General David Leskolv developed many combat engineering systems for the IDF, and won three Israel Security Prizes. He served in the IDF until his death at the age of 86, making him the oldest soldier in the world! Looking at the above list chronicling the wars and military campaigns incited by its enemies, is the stark reality of Israel’s fight/right to exist.